Just like any proper building structure requires a solid foundation, so will your crochet projects. If you don’t pay enough care and attention to your foundation chains, your entire project will suffer for it. Although a faulty foundation won’t cause your project to fall apart, it may cause it to bunch up, curl up, or even tilt like the Leaning Tower of Pisa (kind of). Obtaining clean foundation chains is one of the first challenges any beginner will encounter. After you’ve tied your slip knot (Crochet Guru shows you how), you’re ready to begin with your foundation chain. 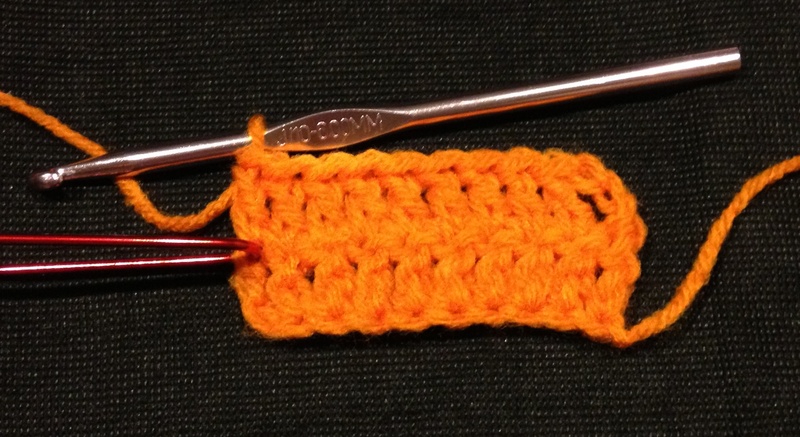 These next five tips will help you crochet the perfect foundation chain. Until you get a feel for the crochet hook in your hand and how your yarn will respond to it, take it a few chains at a time. I stitch five chains before readjusting my yarn and stitching on another five. Speeding through the foundation stitches also makes it so that your stitches come out different sizes; more times than not, they come out too tight. 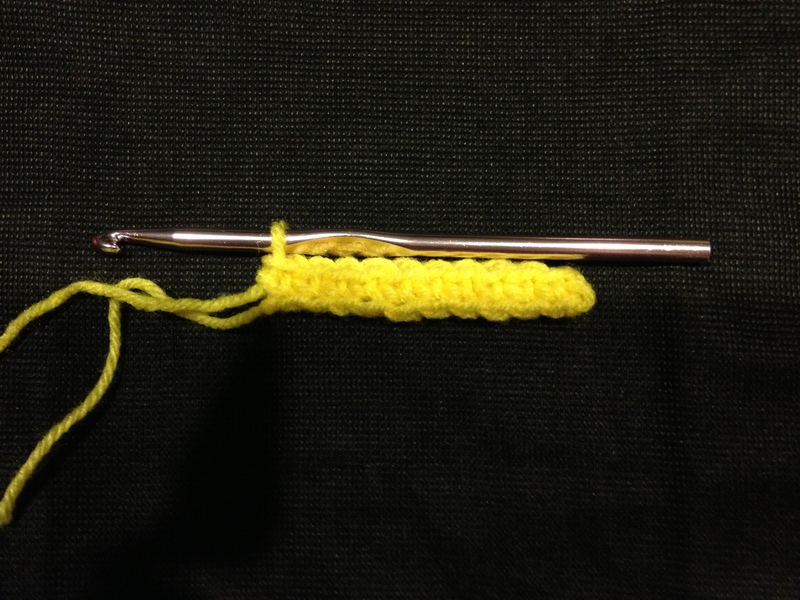 A tight stitch is a small stitch and this will result in your project bunching up at the foundation row instead of lying flat. Two yarn labels. Top one recommends G/6 hook, bottom recommends H/8. You’ll need to make sure that your yarn and hook are a good match for each other. 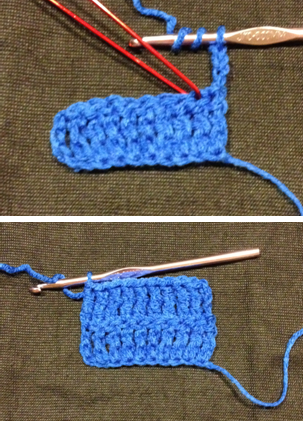 If your yarn is too thick for your hook, you’ll have a difficult time completing the stitch or your stitch will be too tight. 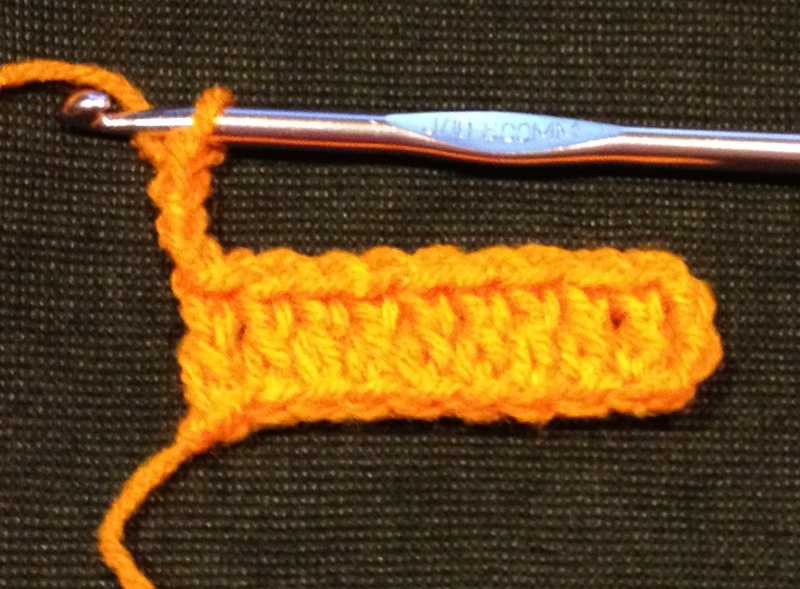 On the flip side, if your yarn is too thin for your hook, your stitches will be too big and loose. 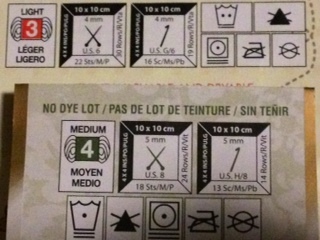 The label on the yarn skein will also usually recommend what size hook to use for that skein of yarn. Use the next hook size up for your foundation chain than what the pattern calls for. Let’s say your project calls for a size H hook, you may want to start your foundation chain using a size I hook (this is the next hook size up) and then switch to your H hook for the remainder of the project. Why is that? For most beginners, and even for the old pros, our foundation chains run a little smaller and our row stitches run a little bigger. 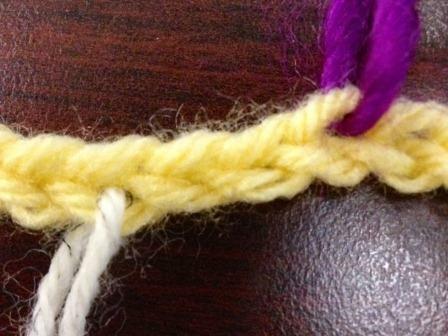 Purple indicates back loop of foundation chain, while white-speckled indicates front loop. 4. Be Consistent! B-E CONSISTENT! 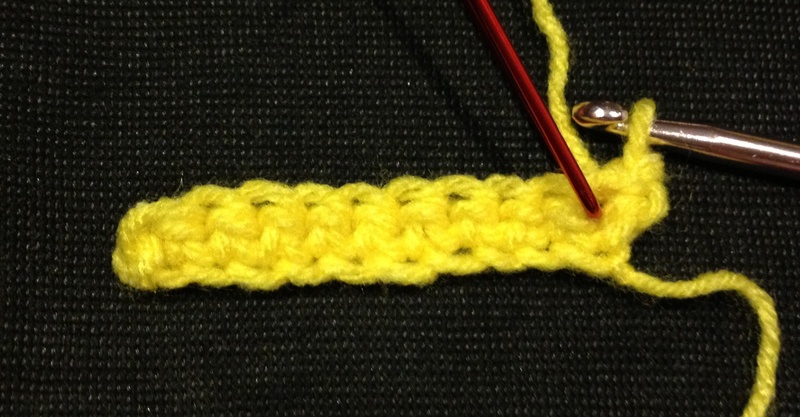 A foundation stitch has three parts: the front and back loops (these form the V), and the spine. 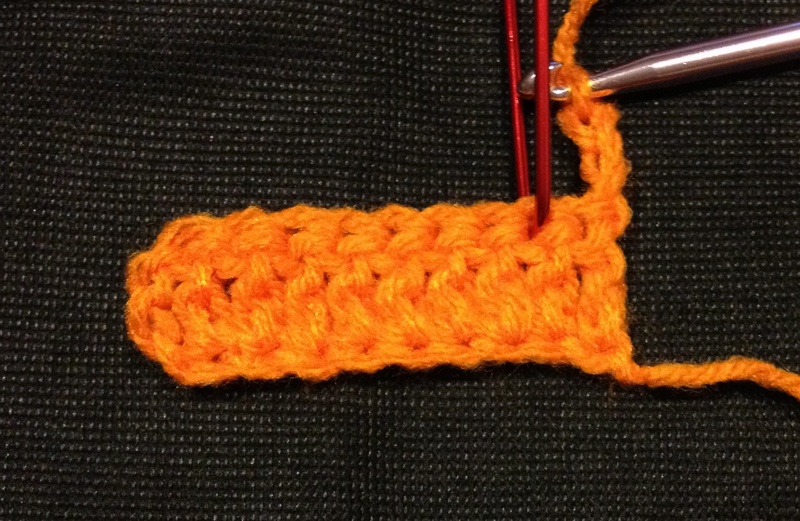 Once you start working on your first row, you’ll want to make sure that whichever part of the first stitch you insert your hook into that you do this for the rest of your foundation row. This one is a biggie because if you alternate which part of the stitch use, you’ll throw yourself off in the stitch count and end up with more or less stitches than you cast on. Not a big deal if you’re making baby booties, downright tear-inducing if you’re making an afghan. If you don’t like the way your foundation chain looks, it’s best to rip it and start again. There is no need to drag it out hoping that your project will fix itself as you go along – trust me, it won’t! But a word of caution: don’t cast on and rip foundation chains too many times with the same piece of yarn! Your yarn will to get kinks in it that will make it increasingly difficult to cast on the foundation chains (Catch-22, I know). Are these tips useful to you? Sound off in the comments section below.